Google's Gmail (both POP and IMAP) is quite popular on the iPhone, and now their suite also includes Gmail Tasks. To access Gmail Tasks via your iPhone, point Safari at gmail.com/tasks. According to this Overview, the mobile version has been optimized for iPhone, so it's pretty snappy. One of the big shortcomings of the iPhone has been the inability to play online video and animation that uses Flash technology. According to a report on Bloomberg, Flash may be on its way. The report is ambiguous, but Adobe's CEO clearly indicates that Apple and Adobe are collaborating to develop a version for the iPhone. So what's been the holdup? How many apps can you install on the iPhone? 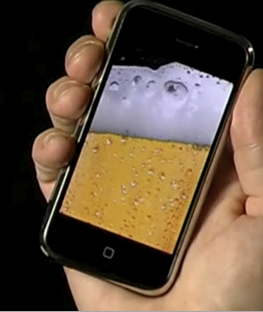 In addition to the four icons in the bar at the bottom, the Home screen holds 16 application icons. You can create up to eight additional pages for application icons and each page can hold an addition 16 app icons. So a total of nine Home screen pages, each of which can hold up to 16 app icons, plus the 4 icons at the bottom, means that you can have up to 148 apps on your iPhone. Read more about How many apps can you install on the iPhone? When you need to get back to the top of a long list, e-mail, Web page, etc., simply tap the title bar at the top of the screen and you’ll be back at the very top instantly. This works for most apps. One way to transfer documents (Word, PDF, etc.) created on your desktop computer to your iPhone is to e-mail them to the iPhone as an attachment. 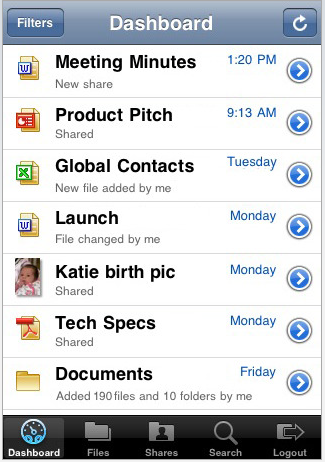 You can also use the Yahoo IMAP e-mail service to create a new mail folder which would then appear on the iPhone. However, simpler solutions are available on the App Store. It can be a nerve-wracking step, buying your child their first iPhone. There's a lot of inappropriate content in songs, movies, and apps, not to mention creepers and weirdos on the internet. Luckily, the iPhone has parental controls we can set to keep our children from accessing the more unsavory side of the digital world. In this tip, we'll learn how to use the Restrictions screen to enable restrictions and set a passcode so those settings can't be changed by anyone but you. Let's get started learning how to block websites, lock apps, and decide on Allowed Content, Privacy, Allowed Changes, and Game Center features. We travel a lot and since we live in Michigan, the weather extremes can be severe. Thus I always wanted to be able to monitor house and freezer temperatures while we were gone. We once returned home to find a freezer had failed and the resulting aroma and mess was so substantial we had to haul the freezer out of the house and to the dump! Bank of America claims to be the leading mobile banking service, with more than 1.8 million people accessing it via their mobile devices. 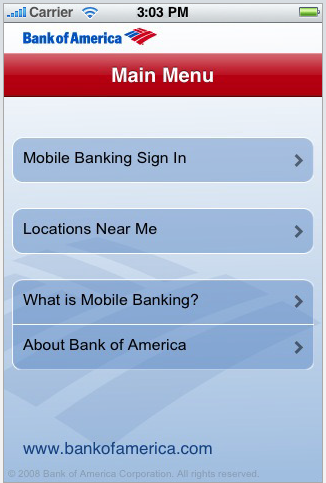 The Bank of America iPhone app lets you do all your banking via your iPhone or iPod Touch. The range of apps in the 15,000 available on iTunes is astonishing. I've covered Ocarina, a 99-cent let's you play your iPhone like a flute. Who would have thought it? Read more about What will they think of next? Y esterday's very quiet release of updated firmware for the iPhone seems to be operating very smoothly. Apple's release of the 2.21 firmware came accross via iTunes as an unexpected update and gave very little information about what "bug fixes" it was referring to about the changes it would perform. Strangely, even Apple's own website shows 2.2 as the current release, not the 2.21 update. Update to VITO Star Walk available! "January, 2009--The new version of Star Walk contains links to wiki articles for practically all celestial bodies. For example, after choosing an object and reading info about it you may tap "W" to go directly to the Wikipedia article devoted to this star, planet, Messier object, constellation or meteor shower. Read more about Update to VITO Star Walk available! Could Palm's Pre Be Delayed? Apple computers has sucessfully patented the multi-touch technology it uses on the iPhone and iPod Touch displays as of January 20th, 2009. 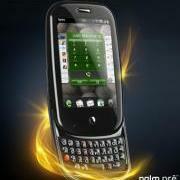 Read more about Could Palm's Pre Be Delayed? 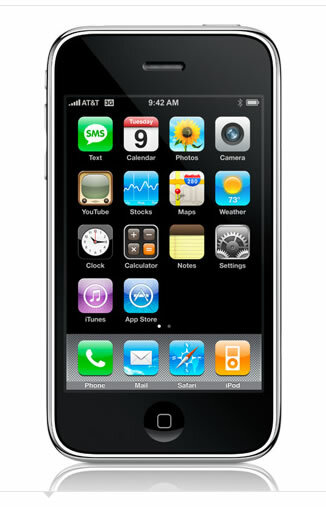 Unlike Windows Mobile devices, the iPhone doesn't have any built-in software for viewing and editing documents, such as Word and Excel files. However, applications are beginning to appear that help fill this void. 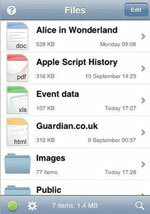 Soonr - Your Mobile Cloud, released earlier this month, lets you view over 40 different file types on your device, including images and documents. 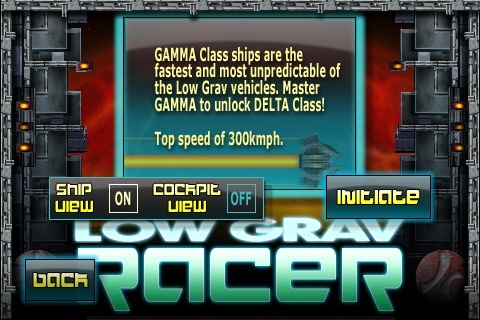 Have been playing Low Grav Racer (from Cobra Mobile games) for about a month, and not getting tired of it. I'm up to the final competition mode (Delta Class), and can't get past the 4th track (Space Junk). 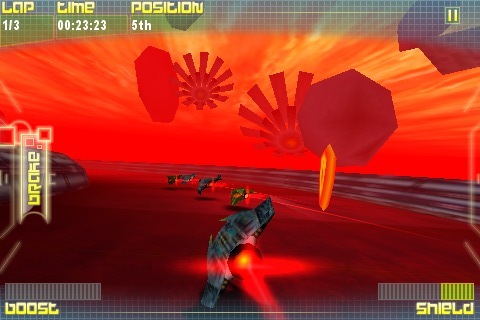 If you want a fast and furious pod racer/combat game, you need to try this one out.